Prok, DJ PP, THE NEW IBERICAN LEAGUE, Anthony Attalla , Phunk Investigation & Schuhmacher and more. NO_ID opening for Dirty South, Deniz Koyu and Arty at the Palladium on November 24th, 2012. Born in Amsterdam, raised in music. 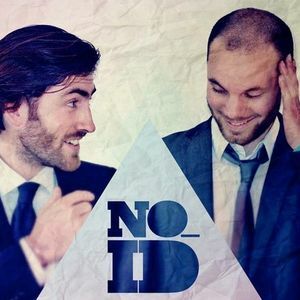 The NO_ID duo kicked off in the year 2008, formed by two local heroes. They joined forces and instantly shook the Dutch DJ scene by winning the Amsterdam Dance Event Demolition Contest with one of their first tracks called “Wurld”. This track was nominated for best house track with commercial potential. NO_ID tries to create a new and fresh international big room, proggy house sound, that is rarely found on the Dutch and international dance floors nowadays. Constantly finding new ways to enthuse and arouse their audiences, that is what NO_ID stands for and where these two guys put their faith in.